Everywhere you look, payments are heading to the wrist. Wearable makers have spotted that a tangible reason to get millions of watches onto wrists – other than getting notifications and fitness data – is to make it easy and 'frictionless' to pay for stuff. The Apple Watch, Jawbone UP4 and Xiaomi's partnership with Alibaba have all surfaced in the last few weeks. Samsung's acquisition of LoopPay is the driving force behind its own service – Samsung Pay – and its summer launch looks to be extra interesting because unlike Apple Pay, it works with existing magnetic stripe machines, making it compatible in millions of stores at launch. What's more, Google's Android Pay system completes the trio of nearly exactly named systems. And as you'd expect, PayPal is basically integrated into every smartwatch in existence, which brings Pebble owners into play – and even it's looking to up its tap-to-pay credentials via Smartstraps for Pebble Time. In many ways, we've been gearing up to this for years. Adding contactless payments to our debit and credit cards was just a way to introduce the social act of tapping to pay. It helped us trust paying without PIN for smaller transactions. It was paving the way for wearable payments, even if we didn't know it. Still only available in the US, Apple Pay enables iPhone and Apple Watch users to pay for items via their smartwatch in stores. There's over 1m users signed up to date, and crucially, the service works for Visa, Mastercard and American Express customers. 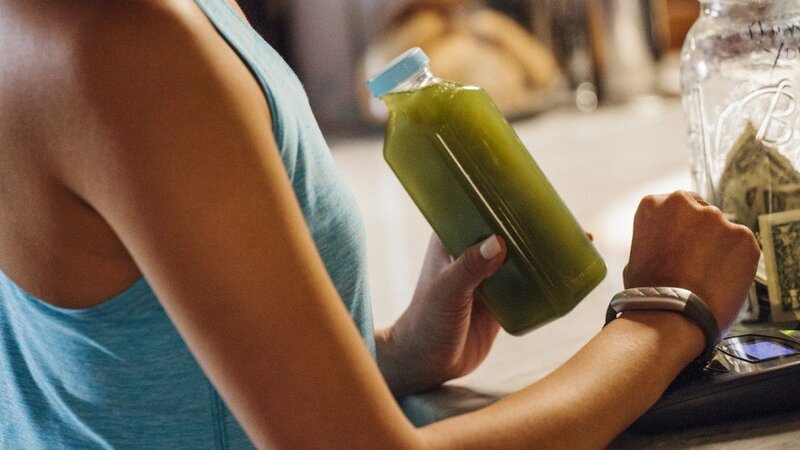 A surprise update to the long-awaited Jawbone UP3 (and announced before its predecessor even reached customers), the UP4 adds mobile payments to its bevy of biometric sensors. The downside is that it only works with American Express so far, but if it can get Visa and Mastercard on board, it will be a seriously powerful all-rounder, which has every chance of staying on the wrist and out of the desk drawer. More of an advert for mobile payments than a serious wearable for actual people, the bPay band is an NFC-enabled bangle that you can pair with any debit or credit card. You can then make any contactless payment as normal, whether you're tapping in on the London Underground network or paying for a coffee in Starbucks. Much more likely than buying a dedicated mobile payments bracelet will be integrations into fashionable smartwatches or fitness trackers such as the Apple Watch or Jawbone.